Supports: Afrikaans, Albanian, Arabic, Armenian, Azerbaijani, Basque, Belarusian, Bulgarian, Catalan, Chinese, Croatian, Czech, Danish, Dutch, English, Estonian, Finnish, French, Galician, Georgian, German, Greek, Haïtian, Hebrew, Hindu, Hungary, Indonesian, Irish, Islandic, Italian, Japanese, Korean, Latvian, Lithuanian, Macedonian, Malay, Maltese, Norwegian, Persian, Polish, Portuguese, Romanian, Russian, Serbian, Slovak, Slovenian, Spanish, Swahili, Swedish, Tagalog, Thai, Turkish, Ukrainian, Urdu, Vietnamese, Welsh, Yiddish. Only translator that handles correctly Arabic, Hebrew, Persian & Yiddish. 28 languages are supported: Catalan, Croatian, Czech, Danish, Dutch, English, Estonian, Finnish, French, German, Hungarian, Indonesian, Islandic, Italian, Latvian, Malay, Maltese, Norwegian, Polish, Portuguese, Romanian, Slovak, Slovenian, Spanish, Swahili, Swedish, Tagalog, Welsh. For now LSL scripts can not listen directly to IM, and therefore can not translate Instant Messages. However Q-Translator provides private channels to bring in private IMs using copy and paste. The solution is not perfect but is the only currently feasible. Handy management of the list of avatars from menu. Q-Translator detects when a message is emitted by any of these translators: Q-Translator, X-LANG, UT v10, AF, MH, MT, XIN, Simbolic. You can enable or disable the translation of messages issued by other translators. In all cases the spam is greatly reduced. 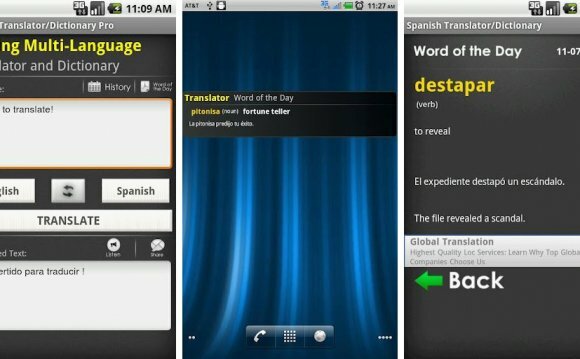 In fact, Q-Translator remove all formatted made by translators (language indicators) to rebuild the message, it will be able to detect the language precisely and correctly translate the message. If you attach your HUD in a script area and you move into an no-script area Q-Translator will continue to operate. Now the HUD interface will also work as you were in a normal script area. Mono Language Dictionaries in 11 languages: Chinese (Simplified & Traditionnal), Dutch, English, French, German, Italian, Korean, Portuguese, Russian, Spanish. Multi Languages Dictionaries between English and 18 other languages: Arabic, Bulgarian, Chinese (Simplified & Traditionnal), Croatian, Czech, Finnish, French, German, Greek, Hebrew, Hindi, Italian, Korean, Portuguese, Russian, Serbian, Spanish, Taiwanese. Search the Wikipedia pages directly from Second Life in 265 languages. Q-Translator HUD is fully localized (user interface and messages) in 18 languages: Czech, Dutch, English, French, German, Hungarian, Itialiano, Japanese, Lithuanian, Polish, Portuguese, Romanian, Russian, Slovak, Slovenian, Spanish, Swedish, Turkish. Compact HUD with precise positioning, can be use with any attachment point, can be resized and minimized.